BS 8233:2014 offers guidance for assessing noise levels having an impact on a site in terms of the required ventilation strategies, building envelope and external glazing. It offers guidance for the control of noise both within and external to buildings. It helps define what is acceptable in different environments. When planning for a new building, a noise assessment is required to ensure the internal noise levels are in line with the requirements of BS 8233:2014. This standard draws on experience and research to provide information on the design of buildings with internal acoustic environments appropriate for their functions. It is intended for use by environmental health, building control, planning, non-specialist designers and constructors. It provides direction on noise levels from road, rail and aircraft noise as well as internal building services noise and room acoustics. Acoustic definitions include guidelines for sound levels acceptable at a specific time. For instance, some levels that can be accepted during the day are not acceptable at night as they can cause sleep disturbance. What changed in the update? The 1999 edition was revised and changes made include changes to Building Regulations Approved Document E and changes to the legislative framework. The revision also included changes to the specific sectors such as education and healthcare. The use of acoustic consultancy services can assist with the design. 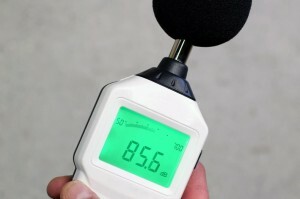 They evaluate your project for potential noise problems and find the most effective solution. They consider glazing, facades, roofs ventilation, layout and much more. They will also consider internal wall and floor performance, reverberation control and room acoustics and protection from noise sources such as communal areas and plant rooms. If the site is exposed to vibration, assessment and provisions should be made within the design. An acoustic consultant will help you meet the standards and guidance which exist by coming up with a satisfactory design to counter the effects of noise and vibration exposure. If you want to develop an existing building or have a new build project, involving an acoustic consultant from the initial stages of your project will help you establish a baseline for the building to be designed to. Lighthouse Acoustics offers various acoustic consultancy services including noise surveys, vibration assessments, acoustic design and sound insulation testing. We take a shared approach working with you on your project to come up with a finished development that meets the requirements of BS 8233:2014.